Mexican Feather Grass is a gorgeous type of ornamental grass that can be used for a variety of different home yards and growing situations. Those who develop this kind of grass need to know a few care tips and understand when it is a wise decision to raise it in their lawn. Mexican Feather Grass is what is known as a mounding plant. This term means that it grows rather large and bulky, spreading far across your lawn when you install it. It is also effortless to fit in a yard because of its shape and size. Even better, its seeds will naturally spread in the wind, meaning that you can get more Mexican Feather Grass around your yard without doing a lot of work. If you are interested in Mexican Feather Grass, it is wise to use it in a large mass. That’s because it so quickly spreads and is easy to maintain. It makes a perfect cover for the ground and is also a great way to cover hilly areas. 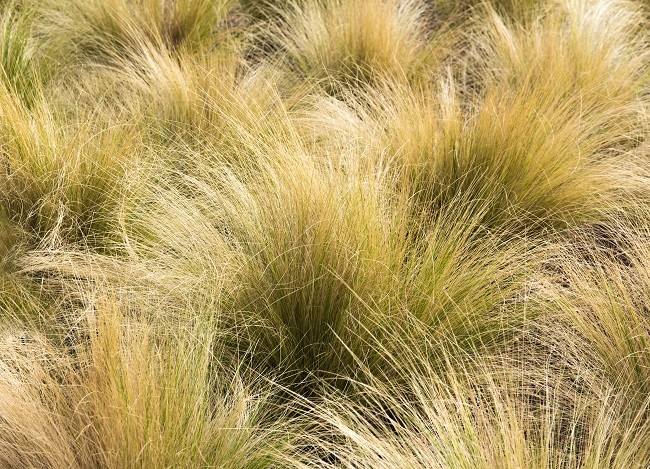 If your yard has a lot of slopes, dips, and rises, Mexican Feather Grass is the perfect addition. Make sure that your soil has a pH range between 5.8-8.0 to avoid any damage to its roots. The soil must also be well-drained and aerated to provide its roots room to grow. Try to make sure it gets as much sun as possible, as this grass needs a lot of sunlight and warmth to succeed. Trim it during the later winter to help promote stronger growth in the spring and summer months. If your goal is finding the best ornamental grass for your yard , please don’t hesitate to contact us today. We can help you find a the grass that suits your yard best, provide planting and care tips, and improve your yard to make it look better than ever.